I see many web pages where topics are stacked together on one web page when they are answers to different questions that different people ask at different times. The topics fit together from the organization's point of view, but the web user wants only one when visiting the site. A page like this is built for the scenario, "Mario wants to read all of our customer support policies and procedures at one time." That scenario doesn't seem likely. 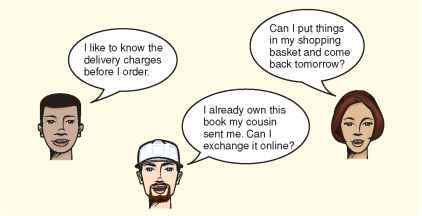 It's much more likely that site visitors will start conversations like the following with the site. Dytnoclts Online is the leading Australian boafcsellmg websile (according to unwise), Whether you lit;« to ihop in store or online, you will find the website a useful resource. All the help topics are jrtj on one very long page. Please note that we cannot advise whether a book can be found ii particular store, as each store selects its own inventory data. Please note that prices, products and availability on Dymocks onltne may differ from Dymocks stores. All prices on Dy mocks Online are in Australian dollars. 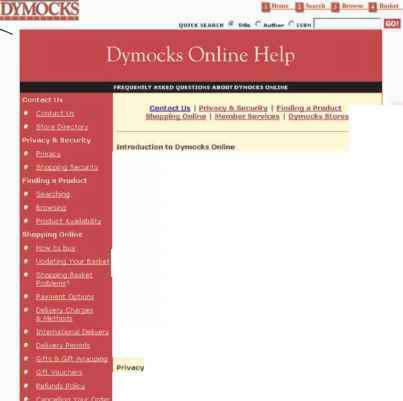 Dymocks Online respects your nght to privacy under the Privacy Act 199B (Cth) and is required to comply with the national privacy principles in respect of the collection of personal information from individuals. On our website, you can order products and subscribe to our online newsletter. The sort of personal information we collect from these pages includes your name, address, email address, telephone number, fax number, credit card information and information about your areas of interest. At some resolutions, f Jp^ J you can't see all the topics in this list. These site visitors each want only the answer to the one question they are asking. 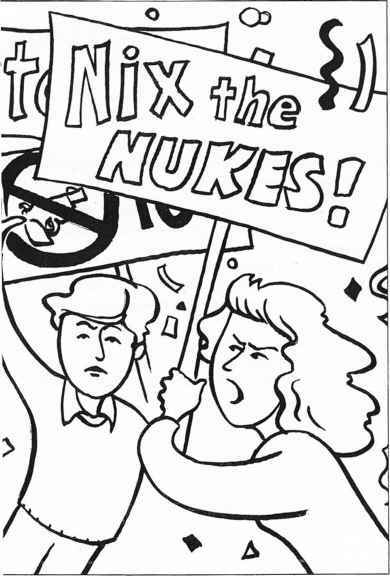 They don't want to have to wade through other information to get to what they want. 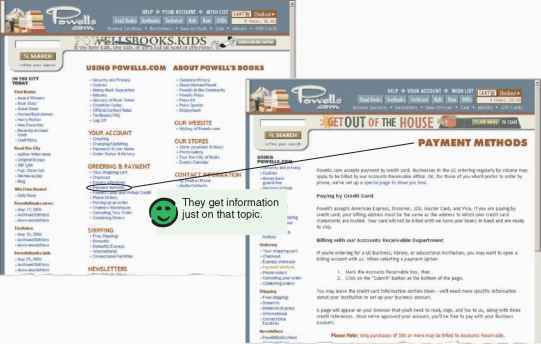 From the web user's point of view, a more useful design would be a pathway page with topics each leading to a much shorter page that covers just that topic - the way it is done by Powell's of Portland, Oregon (Figure 5-12). ©In this web site, visitors choose the help topic they need from a pathway page. Figure 5-12 If each topic answers a different need, giving each topic its own page makes sense for web users.